A legacy is handed down over time, through family and tradition. And lots and lots of wine. Robert Mondavi. Charles Krug. V. Sattui. The legacy of these Italian families represents a combined winemaking history of more than 300 years. And some very fine vintages. Some say this is where it all began. And this is where your journey begins. 3-hour rail tour of Napa Valley, departing at 10:15 a.m.
Quattro Vino Tours are an indulgence start to finish. Elegant interiors. Plush velvet. Gleaming brass. Sleek fixtures. Smooth marble. The train car, rattling at an easy pace through extraordinary Napa countryside. Sweeping rows of vines, some there since 1868, whisper stories. By now you’ll have more than a few stories of your own to tell. By the time you come to the end of the line, you don’t want your journey to end. But first, sparkling wine. Lemon mascarpone crepes, roasted maple bacon, and oven basted egg with salmon roe and buttered croutons. And an intimate group of happy eager travelers, along with you on your journey. Who knew breakfast with strangers could be so delightful. First stop, Robert Mondavi Winery. 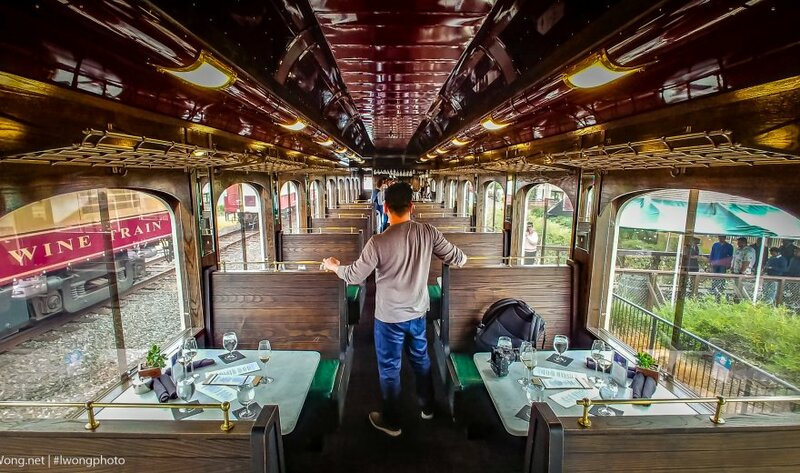 Step off your early 20th century Pullman railcar and onto the rich soil of one of Napa’s leading wineries for a private tour and tasting of some of the finest Cabernet Sauvignon wines in the world and Mondavi’s signature Fumé Blanc. Back on board, it’s time for some difficult decisions: Cracked mustard-cider glazed salmon or grilled tenderloin of beef with pastrami spices and truffle potato salad? Whatever you order, luxurious ambiance is always served. 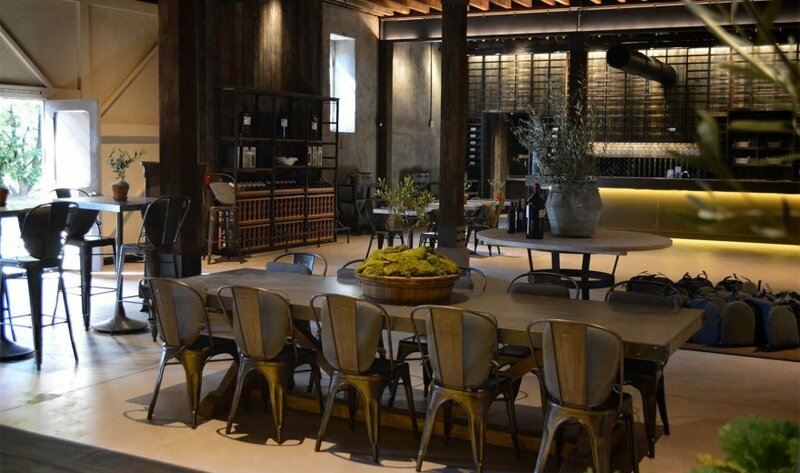 Go behind the scenes at iconic Charles Krug for a private tour of Napa Valley’s oldest winery and a sampling in California’s first tasting room. From the moment you set foot inside the beautiful Redwood Cellar to your last sip, hear the fascinating history of the Mondavi and Krug families. Back on board, indulge in your third course—whipped Marin County brie with local honey, country olives, fennel pollen, and a ciabatta crisp—a divine savory palate pleaser on your journey to our last winery. Be sure to savor the extraordinary Napa Valley landscape with every bite. Next stop, V. Sattui Winery in St. Helena, in the heart of Napa Valley. Learn about the deep roots of this historic family and get a behind the scenes glimpse into the winery, which was founded in 1885, closed during the Prohibition, and is now an award-winning producer of small batch wines. Then the journey back, indulge in your final course—dessert. Our pastry chef’s daily creation, to be exact. Whether it’s sweet or savory…or a bit of both, the real treat is the journey you’ve just had. Because it’s one you’ll never forget.